In large bowl, mix all ingredients except oil until well blended. In 12-inch nonstick skillet or griddle, heat 1 tablespoon of the oil over medium-high heat. For each corn cake, spoon 1/4 cup batter onto hot skillet; spread to 3 inches in diameter. Cook 4 to 6 minutes, turning once, until browned. Add remaining oil as needed. Serve warm. 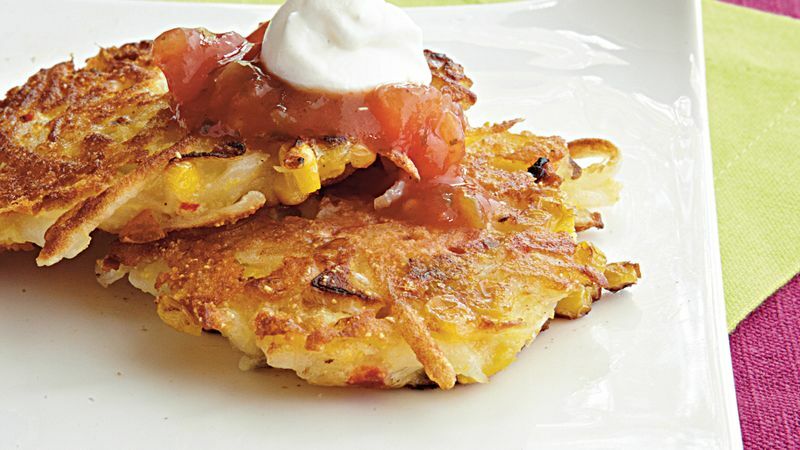 Top the corn cakes with a dollop of sour cream and salsa to add a southwestern flair.